They truly are a team, from back office to the front line. Always kept us informed, continuously gave feedback and most professional. We highly recommend them! We have worked with them twice, and would do it again. Very good communication and overall very knowledgeable and helpful during the home buying process. We worked with Gail, Barbara and Ian during multiple trips over two years while making our final determination to relocate to Sarasota/Longboat Key. Gail provided her full attention to understanding our needs and then showing us all sides of Longboat Key. She actually recommended the area we finally ended up choosing a year before we were ready to make up our mind–she knew our needs and life style preferences better than we did ourselves. The final choice was hugely dependent upon her knowledge and local connections in the Longboat Key market. For us, it turned out to be the right choice, literally the house of our dreams. Then you come to the mechanics of close and relocate/move in. Gail and Barbara were consummate professionals here, both in their recommendations for subcontractors, lawyers and others, and also in their personal follow through on various transition and closing issues. They left no item to chance. The whole team has our strong recommendation. After an unsuccessful experience with a previous broker, I asked Gail and Ian to take a look at the property and advise me how to proceed. They arrived with a professional stager, who made a series of recommendations for staging the property in a way that would make it more inviting to the average buyer. After I completed those changes, Gail brought in an excellent photographer to take all new photos, and used those photos to create the MLS presentation and other excellent marketing pieces. Within a few weeks, more buyers came to view the property than had seen it in the previous seven months. Gail handled each viewing with professionalism and care and gave me excellent guidance with regard to offers that quickly emerged. Ultimately, she handled a multiple bidding situation with great skill, and she and her staff were enormously helpful during the closing process. I can highly recommend Gail and Ian without reservation. I have worked with many groups in education and teams on Whitney Beach boards. I want you to know your team gives organization, style, high skills in marketing, and support to folks whom you work with. I never had a worry. That doesn’t happen often in our daily lives. Thank you for changing my life. Most contact was with Ian. He (and the team) worked extremely hard to sell our Longboat Key condominium. The marketing was first class. We had interviewed many top notch area realty teams before hiring Gail and Ian. The Longboat Key, Fl realty market is really quirky. Their knowledge of it was exceptional. They did what they promised. I recommend them wholeheartedly. Gail and Ian were professional, persistent, and pleasant to work with throughout the process of advising us with regard to the sale of our condo during a difficult economic time. They were very well-connected in the community and kept us fully informed about the status of our property. They helped us understand the realities of the market so that we could make informed decisions. With the help of terrific support staff, the sale went smoothly and they assisted us in the move into our new place. In addition to selling our condo, they were responsible for finding the condo which we now own. They understood what we wanted and were relentless in showing us properties that matched our needs. They worked extremely hard in both the purchase of the new place and the sale of the old place. Having bought and sold properties in various places, we found the process with Gail and Ian to be the most fun we have had dealing with real estate. We highly recommend them. I have used Gail for every transaction for me and my son over the past 20 years. Her team is courteous, hard working, knows the area well and is very dependable. I wouldn’t consider another Realtor as long as she was available. I was in Florida for four days to look at condominiums. Before coming to Florida, I had viewed condominiums for sale on various web sites. I didn’t make any appointments before I arrived in Florida because I wanted to look at the areas and buildings to see which ones I should focus on. As a result, for the most part, I found it difficult to set up appointments on short notice. I left a voice mail for the Addy/Wittig team and in a relatively short time, after office hours, they responded. Gail helped me look at the condos I wanted to see and I settled on making an offer on this one. She called her assistant after I told her I would make an offer and the paperwork was drafted by the time we got to her office. Filling out the paperwork was as quick and painless as it could be and Gail was efficient in getting my offer to the seller as well as informing me and facilitating each stage of the process until the closing. The inspection people she recommended were objective and fair. I am a satisfied customer of the Addy/Wittig team. I am delighted to have the opportunity to provide a recommendation of Gail Wittig, Barbara Milian and Ian Addy and their team. Through my profession, I have had the opportunity to work with the Addy Wittig team, along with other Realtors from all offices on Longboat Key, for many years. And when it came to the sale of my father’s condominium at Whitney Beach, I had no question in my mind who I would ask to represent and assist us in this process. They consistently have provided excellent service to my father and I throughout the process. The photography and videography of the condo was beautiful and marketing of the condo via web and print material quickly caught attention of several potential buyers and their agents. They provided us advice on how best to show the property, and put the home on an easy show list which made it possible to show the property to prospective buyers with great ease. Barbara handled the setting of work appointments and oversaw the property inspection. This was such a blessing as I work during the day. From start to end, Gail, Barbara and Ian have provided their expertise to us in a caring and compassionate way. The Addy Wittig Team are true professionals in real estate and delightful to work with time and time again. Friends of ours had previously purchased homes in the Sarasota area and were very pleased with the help they received through Michael Saunders. Gail Wittig and Ian Addy were recommended to us when we decided to look for a home on Siesta Key. As we reside in Europe, communication began over the Internet. We sent Gail an idea of what we were looking for and whereas this was our first home purchase in Florida, we had many questions. Gail responded immediately with links to homes that fit our description and answered our questions. She referred us to a lawyer and CPA who could give us answers to questions we had regarding legal and tax matters. After several weeks of corresponding through e-mail, we went to Siesta Key for a visit to look at homes. Gail had arranged for us to see homes that she thought we would be interested in and did a wonderful job. We could not have asked for a better real estate agent. Gail is extremely knowledgeable about the area, is honest, professional, relaxed and perceptive to her clients needs and wants. 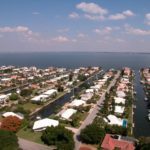 We went back to see several homes a second time during the week we were in Siesta Key and Gail gave us all the help we needed without ever feeling rushed. Thanks to Gail, we found our dream home and signed papers shortly before leaving for Europe. We then had to rely on Gail and her assistent, Barbara Milian, to guide us through to the closing by e-mail. Everything went smoothly, efficiently and professionally. We received a list of services for everything we might need and recommendations for certain things such as insurance. We are extremely pleased with the service we have received and highly recommend the team of Gail Wittig and Ian Addy. Again your team made this purchase nice and easy. We did our homework and you found us what we liked. With all the things you and your team are able to accomplish, we were a little surprised that you could not arrange for Northwestern to win the Outback Bowl. But it was a great game, anyway! We were just as pleased with our new place as when we first saw it, and we look forward to many happy times spent on Longboat Key. Thank you so much for the tremendous help in making the purchase of our house so smooth and painless. You were spectacular! Tim and I really appreciate all the time and attention that you gave us in looking for a house in Sarasota. We want to thank all of you for the dedication you have in selling our condo. We had so many memories there but will make new ones here too. Thank you Ian and Barbara for all of your help finding and administrating our lot purchase. I have been very satisfied with your helpful, business-like attitude and would be very willing to recommend both of you. It was great to work with people so knowledgeable and friendly. I can tell you that the service provided by Gail Wittig was by no means simply “a matter of form”. We have now had the pleasure of Gail providing us with her extraordinary service on three separate transactions. Gail and her team were and still are fantastic. No doubt without Gail’s continued help, the transaction would not have been achieved. I would always contact Gail first if we were to purchase any further USA property. Jon and I want to thank you for all you did to make our move such an easy transaction. We appreciate all of the phone calls you made, the leg work that you did, and the wonderfully arranged binder. We look forward to many years to enjoying our fabulous new home. It has been such a pleasure to meet and work with all of you. You’ve helped us find and settle in a perfect home. Rich and I want to thank you for everything you’ve done in conjunction with the Grand Bay to Harbor Gate transition. As always working with you is not doing business – it’s a pleasure! 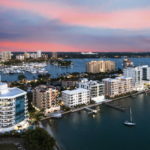 - Richard & Janice ~ Grand Bay and Bay Isles "Harbor Section"
Gail’s successful career in real estate is due, in part, to the air of calm competence she brings to transactions. During the past five years, we have always been impressed with her professionalism and market knowledge of the greater Sarasota area. Because of our confidence in Gail, we have and will continue to enthusiastically recommend her team to friends and family. Gail is the best example that I have met of a person in the real estate business that is completely customer focused. In our case, she very quickly “read our tastes and shortened our search by eliminating properties that were not likely to appeal to us. This past month our son purchased property through Gail. It again has been a pleasant experience. This transaction provided the opportunity for us to meet Ian and he seems to be imbued with the same customer focus that Gail possesses. In summary, Gail is very professional, insightful, and loyal to her former customers. It is a pleasure to have her as a valuable business resource and as a friend. In our many dealings with agents in the past, you stand out among the best…your product knowledge, attention to detail and your cooperative spirit, made this process a total pleasure for us. Your ability to make your client feel at ease and confident in you – is unique. The Addy & Wittig Team were a recommendation from a friend of mine so I had fairly high hopes heading into the process, but am happy to report they exceeded even my highest expectations. I worked primarily wiht Gail and Barbara who were both very knowledgeable of the area and very patient with my many questions. I am not from the area and their knowledge proved invaluable in getting what my family wanted. I tend to be very detailed and had many questions that I needed answered and never once did they make me feel like I was over doing it…they just patiently answered any questions I had with honest, experienced feedback. I work in an industry that requires almost immediate responsiveness and I tend to get frustrated when dealing with others that are not used to working in such an environment. To my delight they were essentially available 24/7 and always responded very quickly when not immediately available. If you are buying and selling in the surrounding area you won’t be disappointed with their service. Thank you so much for assisting us. Your client service has been exceptional! We are sincerely grateful. Working with Gail Wittig, Barbara Milian and Ian Addy was the best experience we’ve ever had with a realty team. We put our Grand Bay condo on the market expecting that it would take at least six months to sell and to our surprise it sold in six weeks. They were extremely professional and gave excellent advice and as long as we have property in the Sarasota area, we will use the Addy Wittig Team with Michael Saunders & Company. I thank the Addy & Wittig team for all the work they did to make the sale of our condo a very smooth journey. I so appreciate the opportunity to meet everyone. They did a fantastic job of picking up and attending to every detail. It was so comforting to know that although I was in Illinois, I was never forgotten by Gail, Ian and Barbara. After my daughter & I interviewed three agents, we knew they were the right agent for us. Since my daughter is a top Realtor in Illinois, she and I both knew what to look for in an agent. They were professional and certainly delivered top service. I will be happy to recommend them to my friends on Longboat Key and Sarasota. I believe Gail, Ian and Barbara handled this transaction as well as my own daughter would have. Steve and I wanted to thank you for all of your patience and creativity, focus, experience and expertise through our purchase and subsequent sale in Queens Harbour. Looking forward to our continued relationship! What was a trying time for me, selling my Florida home of 22 years, was most encouraging working with you. Working with Ian especially was a wonderful experience for me. He kept me constantly posted and was positive, encouraging and conscientious in his presentation. I see a great future for Ian in this his chosen field. It was truly a pleasure working with him.